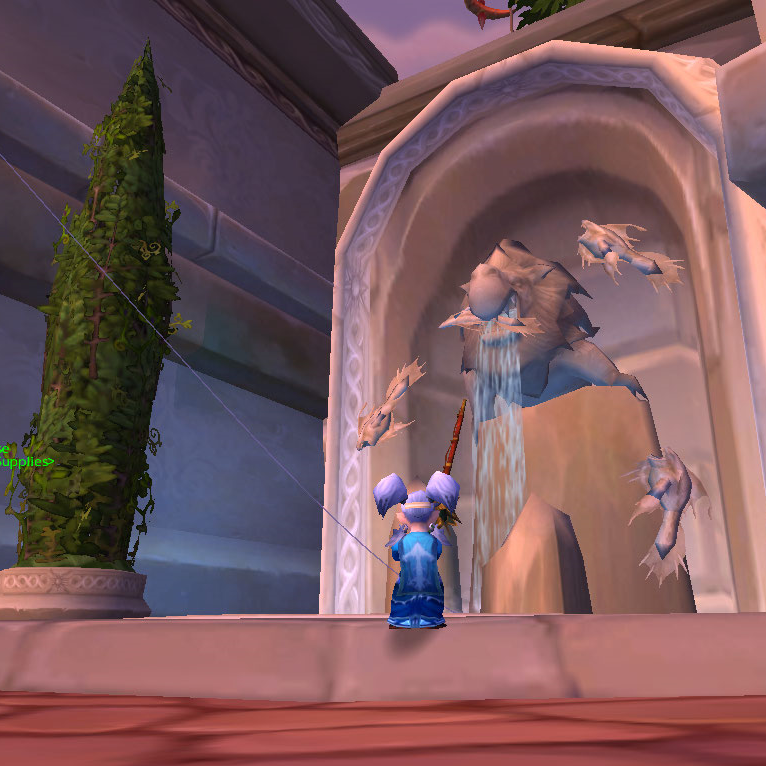 Here I am, fishing in Dalaran fountain for the ‘lucky’ gold coins. I say ‘lucky’ as the damn achievement still took me months! 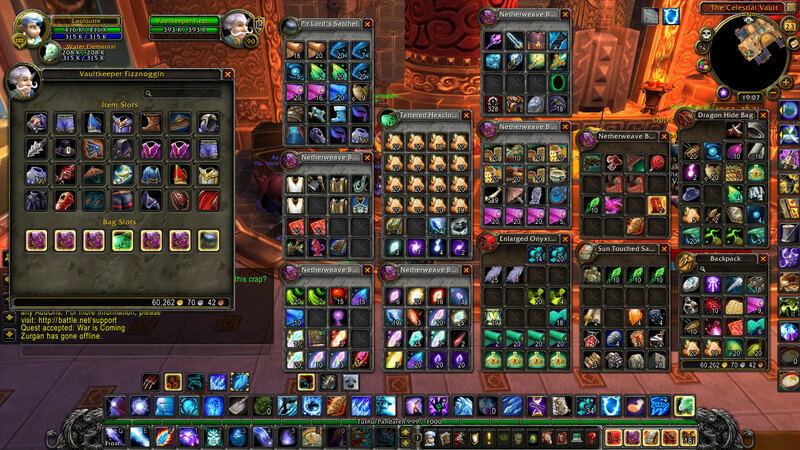 *whispers* I think I have a problem…. 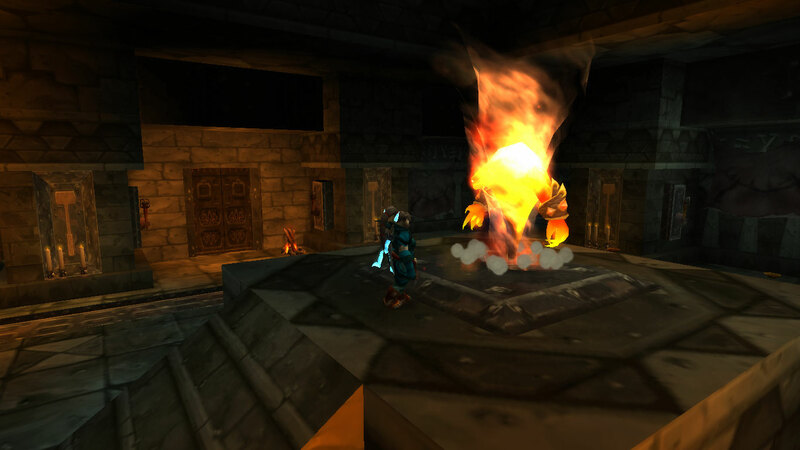 Didn’t your Mama ever tell you that playing with fire is dangerous?! 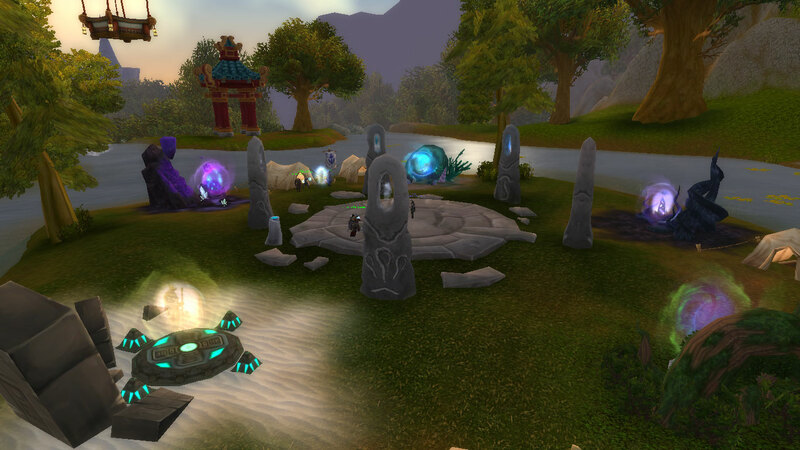 This is Fhwoor, found in Zangarmarsh. The poor guy stinks and he knows it… sniffing his armpits periodically. Still, everyone needs a pal, right? 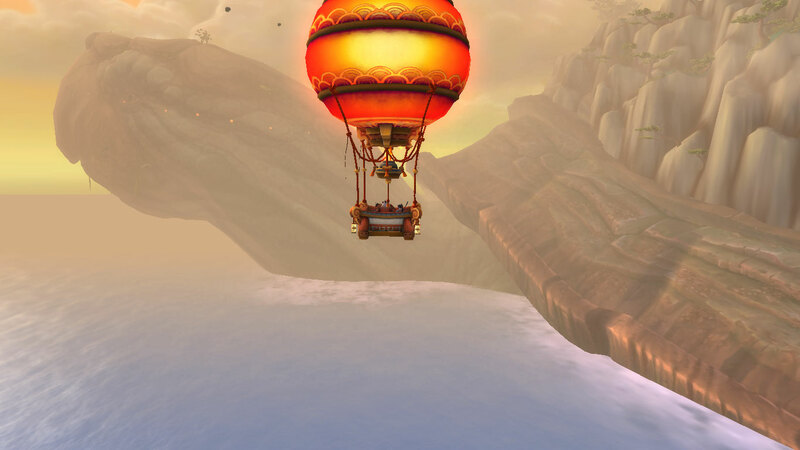 Shen-zin Su (the wandering isle) swimming so slowly you don’t even notice! 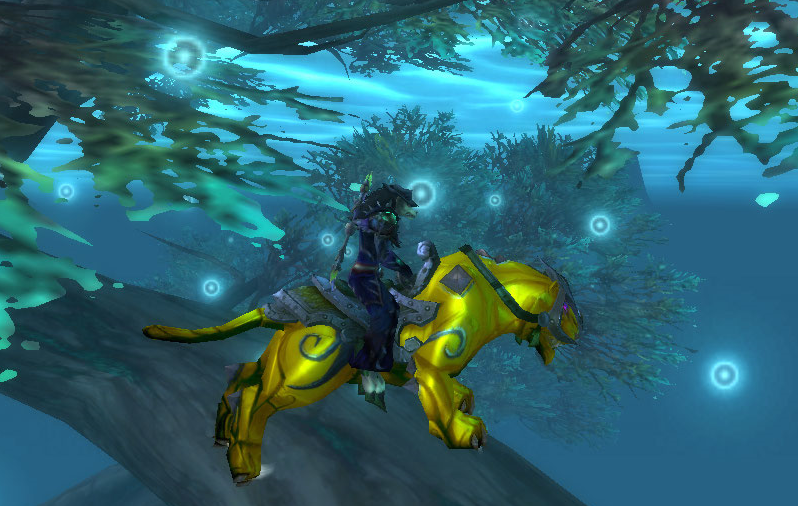 The sunstone panther that I grinded so hard for! Read more here. 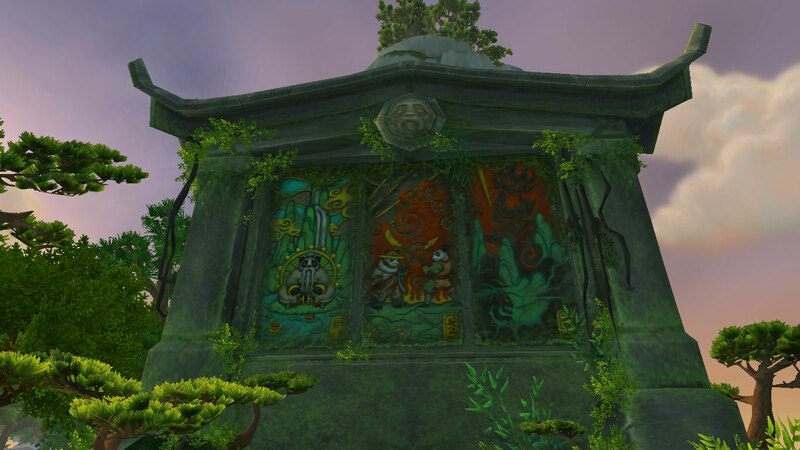 Here is a mural in Jade Forest, near The Emperor’s Omen, which only appears after you’ve done the quest line. 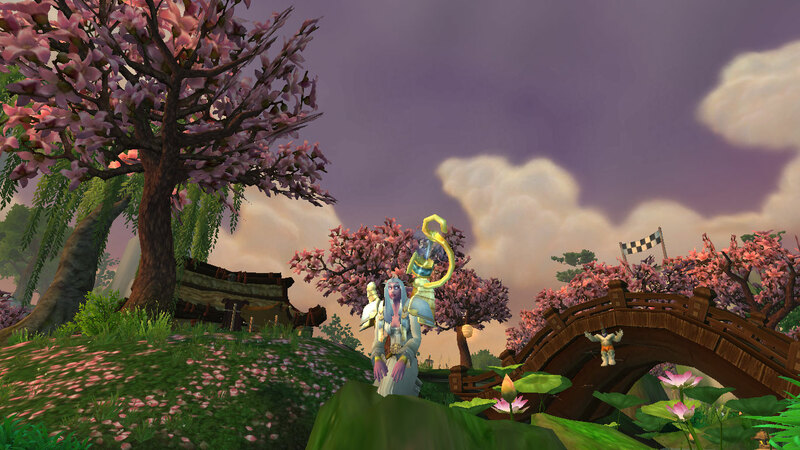 It depicts the story of peace and war and is actually pretty beautiful to see. 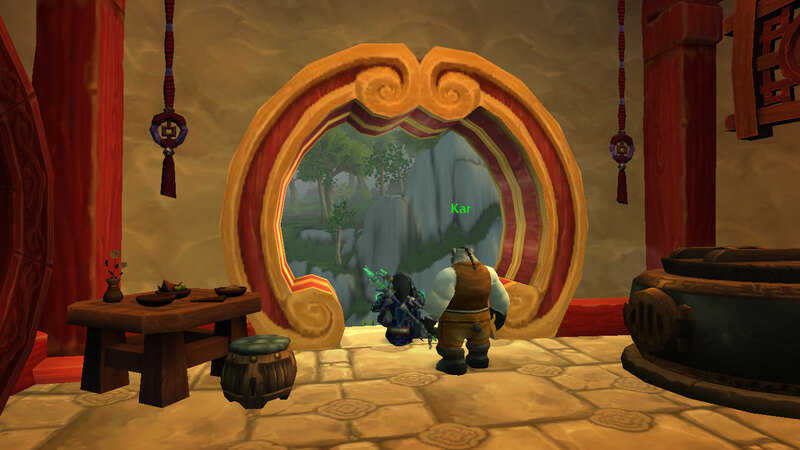 Ok, with a pinch of salt, here is the gateway (i.e., entrance) to new and exciting worlds for heroic adventurers! 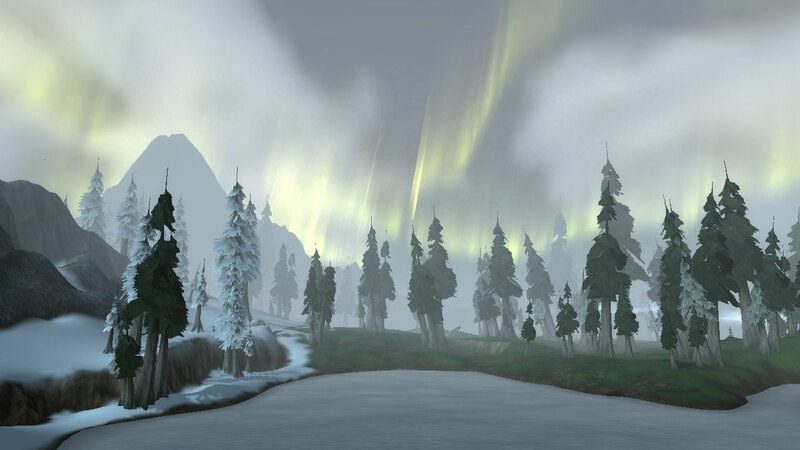 I struggled with this for ages, not being able to decide which angle to take. 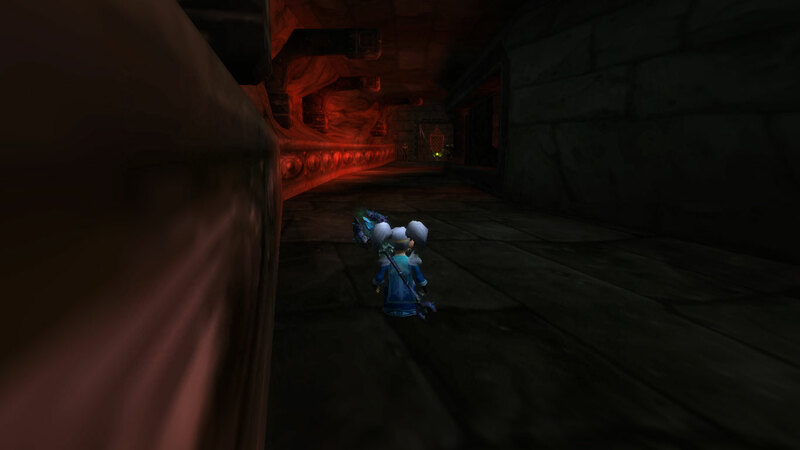 Eventually I decided that to go “home” on my main, my Gnome Mage, was to go back to Gnomeregan where it all began. 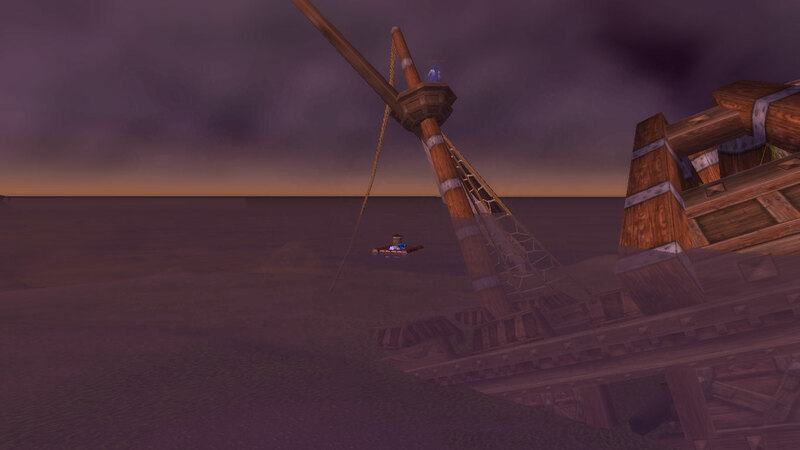 I flapped around, 10minutes this way and 10minutes that, chatting with the Gnome workers, before I realised that actually, I was doing it all wrong. 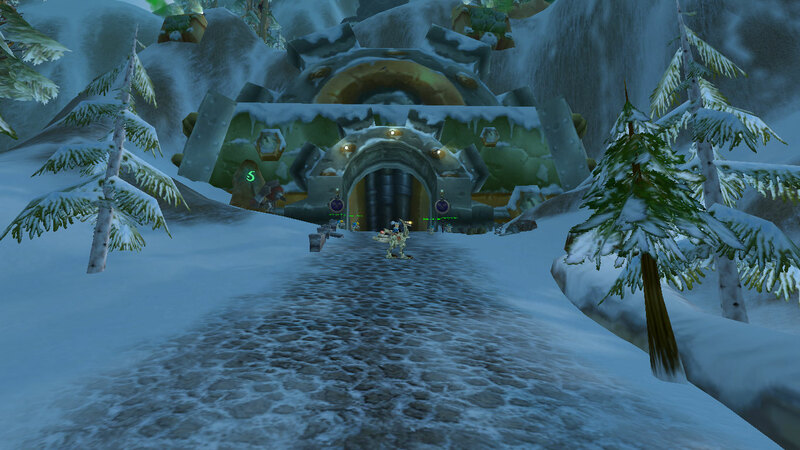 I LIVE at the Shrine, or at Stormwind, and this snowy nothing place, is a world away from my Warcraft home. 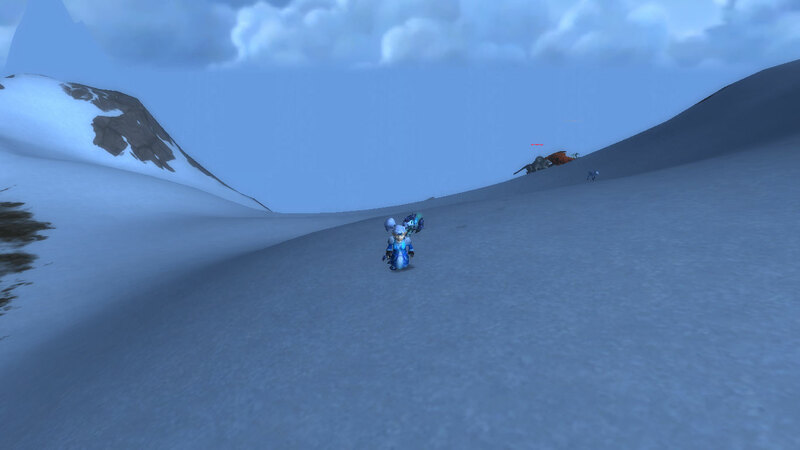 Yes, you can get there in 10minutes with portals and 310% flying, but it is a lifetime away from my little Gnome. 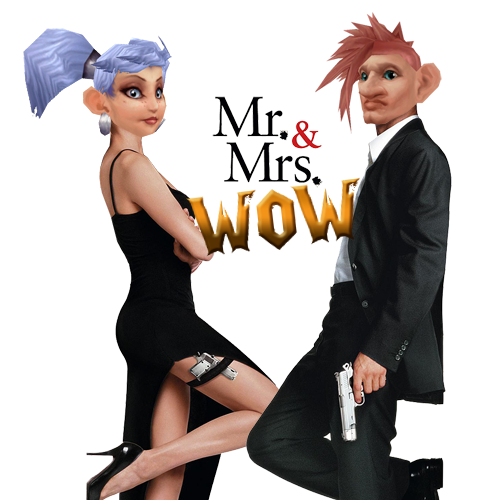 So, for that reason, Gnomeregan is my entry for this topic. 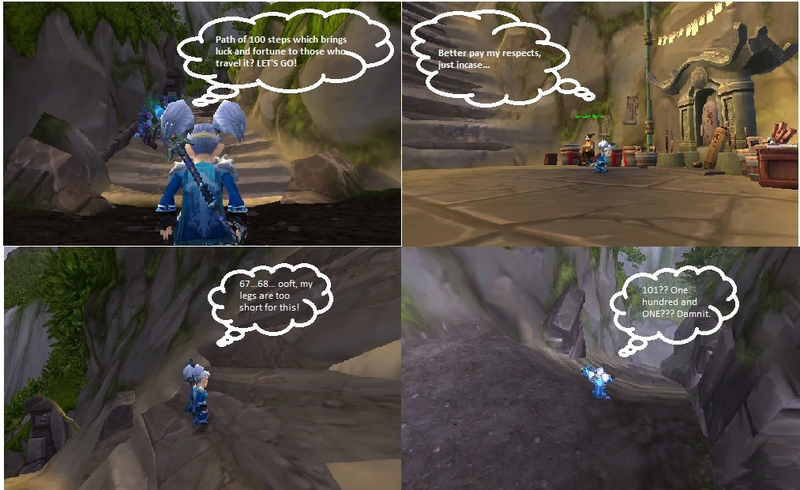 Check out Tycer’s own blog (here) for rules and hints and definitely, if you’re not already, take part. It’s fun! 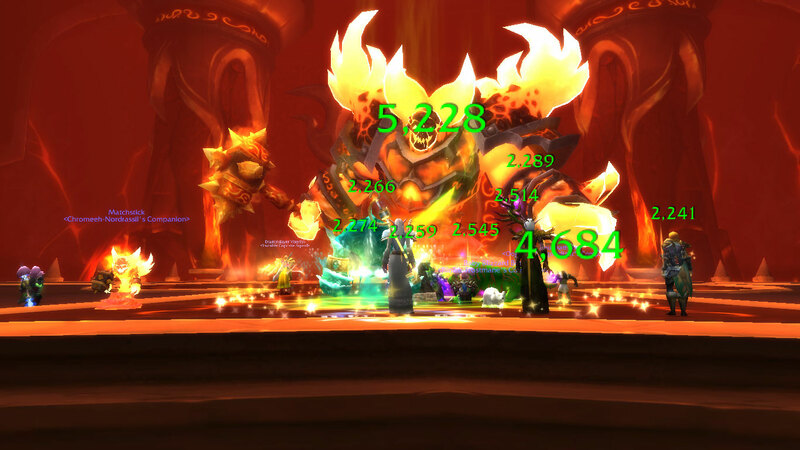 We did this raid with a group of lovely people from Twitter a few weeks ago, so it’s especially poignant! 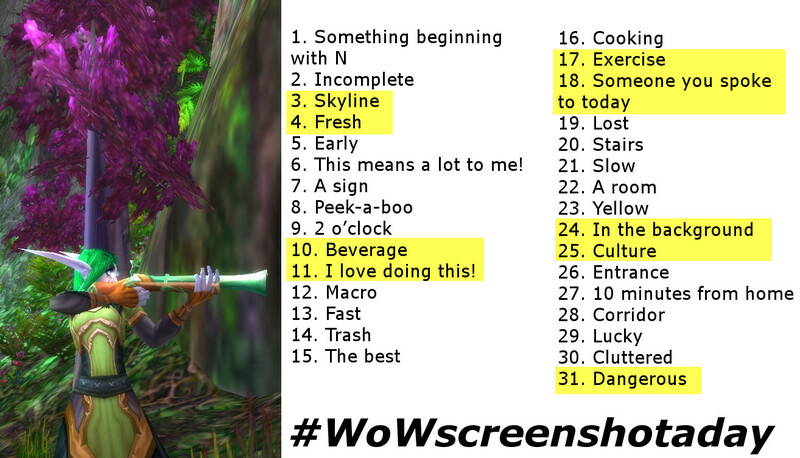 That’s all for now, I’ll update on Day 10 with the next 5 screenies!